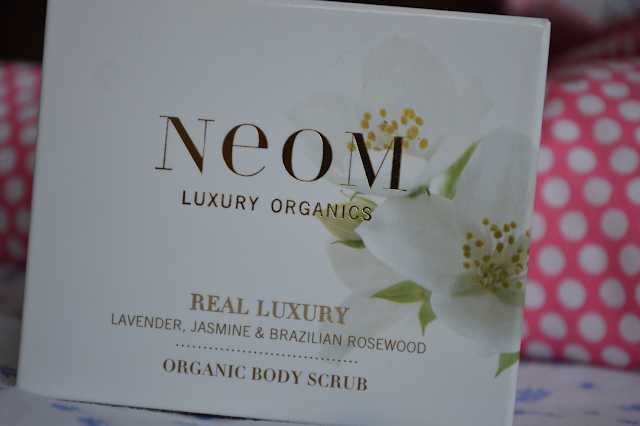 As you all know I'm a big fan of Neom, a luxury brand which really makes you feel special. I adore their candles, they're amazingly good! 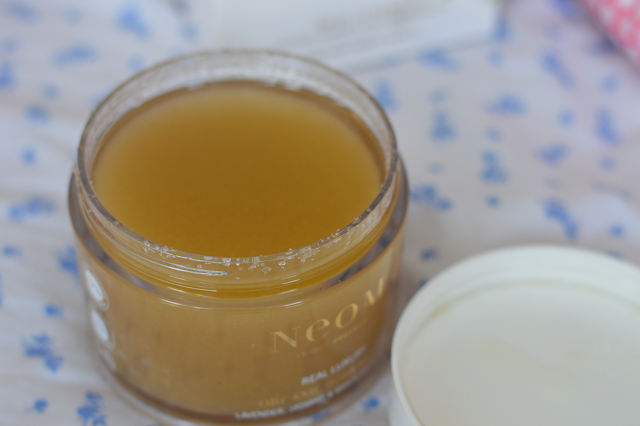 I first tried Neom last year and it was love at first application (lol). Trying their body range is very exciting, I first heard about the amazing Real Luxury Organic Body Scrub* from one of my fave beauty bloggers Essie Button. So I had high hopes and couldn't wait to test it out. The Real Luxury scent is one of my favourite scents from the Neom fragrance family, the blend of Lavender, Jasmine and Brazilian Rosewood all work in unison to create such a pleasing invigorating yet relaxing scent. It's one of those scents which has the 'WOW' 'OMG' factor. You just want to keeping inhaling all the goodness, it's like stepping into a spa. With Spring on its way and with the hope of having some sunshine and warmer days ahead the sugar scrub will definitely be a staple in my body care routine. I naturally have dry skin on my body and using a body scrub which contains oils is a big thumbs up. I find it very soothing and comforting knowing my skin is having a nice drink of moisture. After using the scrub your skin is so soft and supple to touch you don't actually need a body lotion over the top. However if like me you resemble scaly snake skin you may want to top up and slap on some body cream. A little goes a LONG way, the sugary scrub is separated from the oils so you need to scoop with caution. The organic sugar base is mixed with safflower and jojoba oil with Vitamin E. No wonder skin is soft and glowing after using this beautiful scrub. After reading about the product and the benefits I was happy to see this helps improve circulation. I suffer from terrible circulation so using this has been really positive in lots of ways for my skin and body. 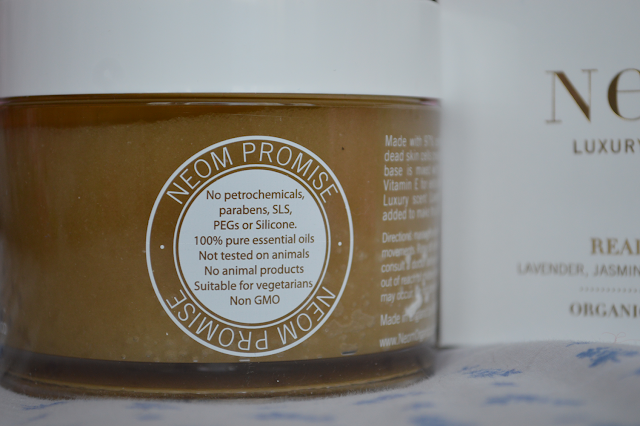 As with all Neom products they have the Neom Promise, No nasties and only using the purest of ingredients! The pure essential oils make the organic body scrub a truly pampering treat! 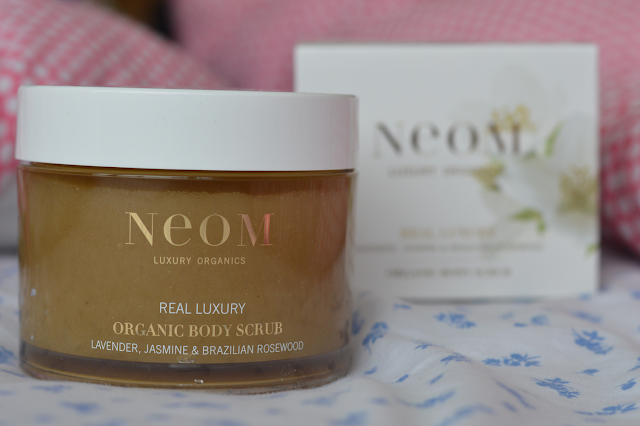 Have you tried Neom? I'm eager to try their Bath and Shower Oils! I love the sound of the body scrub :) I think I need it! NEED!